"We must first accept that a gender gap exists, and then identify sustainable solutions." In 2017, there have been two important landmarks for women in science: first, astronomy trailblazer Vera Rubin passed away, and second, we passed the eighteenth anniversary of Larry Summers' (in)famous speech as President of Harvard University. Rubin discovered evidence for the existence of dark matter. Summers suggested that the under-representation of women in science and engineering could be due to a "different availability of aptitude at the high end and innate genetic differences in the brain of men and women." His theory ignored systemic patterns of discrimination and socialization that breed inequality. It was also a galvanizing slap that led to a significant rise in initiatives for increasing the number of women in the notoriously male-dominated fields of science, technology, engineering and math (STEM). But the problem persists. While women earn 41% of PhDs, they make up a scant 28% of tenure-track faculty at universities. Similar to the choice of porridge in the Goldilocks fairy tale, initiatives to support women in science need to hit the right spot. "Mama Bear" initiatives run too cold, ignoring that there is a problem to be addressed. Rather, they buy into the idea of science as a gender-blind meritocracy where good women will always succeed. 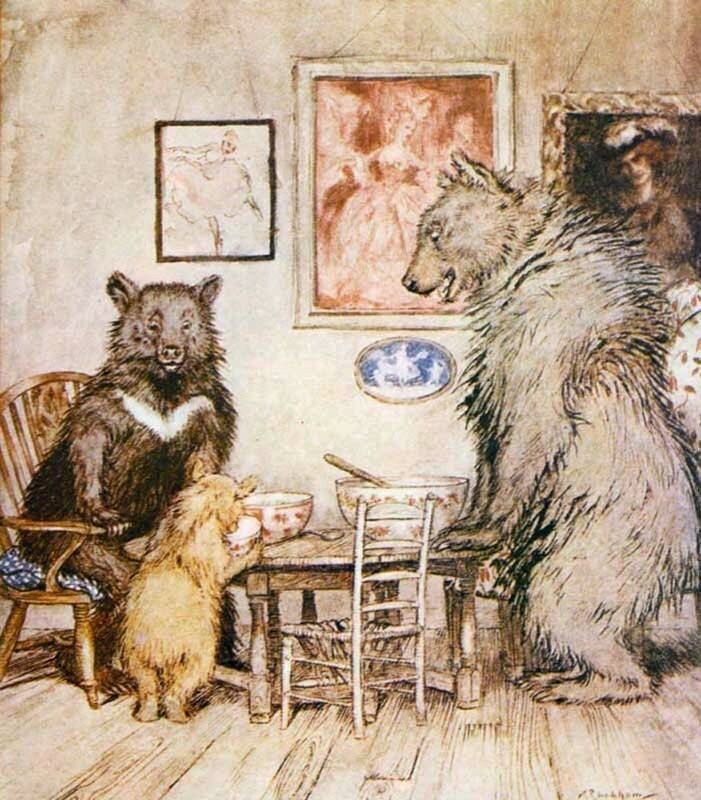 Subscribers to the "Mama Bear" philosophy usually have animosity to gender-driven programs. Even if they acknowledge the STEM gender gap, the response becomes buckle up, “lean in,” man up, and you will achieve success. "Papa Bear" initiatives run too hot, advocating for quick fixes. In a rush to quiet the storm and sweep any unpleasantness under the rug, they hire or promote a woman or two as a token gesture of inclusion and progress. But the quota system of diversity ignores institutional barriers that create a glass ceiling. They won’t fix the systematic issues for why there are so few women at the higher rungs of STEM achievement. Both the "Mama Bear" and "Papa Bear" ideologies imagine solutions without challenging the institutional structures and cultures that often cause women to exit academia. But, as in the Goldilocks story, there is hope in "Baby Bear" initiatives. Around the globe and across institutions, we can find instructive examples that might help us achieve gender parity. So who is getting it just right? Disciplines like biology and psychology enjoy greater gender parity than computer science or engineering. Additionally, countries like Portugal, the United Kingdom, and Germany have solid women in science training programs. In Germany, Angela Merkel, a physicist, has broken the ultimate glass ceiling having served as Chancellor for over a decade. Some institutions and granting agencies are also beginning to offer family leave, provide childcare facilities, and stop the tenure clock when you get pregnant or need to care for elderly or sick family members. The problem of women in STEM is decidedly a complex issue, especially when viewed on a global scale. In many regions of the world women still find themselves in situations similar to the youngest Nobel Peace Prize, Malala Yousafzai, where their education comes at the risk of their life. The Goldilocks principle states that something must fall within certain margins, as opposed to reaching extremes. To strike the right balance to effectively bridge the STEM gender gap, we must first accept that a gender gap exists, and then identify sustainable solutions to tackle the roots of the problem. These solutions have to appeal not only to women, but must also benefit men and the scientific enterprise at large. Proactive measures must be used to recruit female talent into STEM. Camps that design, develop and launch digital learning games would get young women computing and thinking entrepreneurially at an early age. Specifically, camp participants would learn how to code, how to design and develop learning games about any STEM topic, and how to launch the game on the web or via a Kickstarter campaign so the students learn entrepreneurial skills. Similarly, “fab labs” and “makerspaces” are places that can highlight creativity, discovery and inquiry — essential ingredients for critical thinking — that can boost the confidence of female students. Lesson plans can be developed from these informal activities to guide proactive instruction in schools and universities. In addition, establishing councils of advisors that mentor students throughout their STEM career development will provide young women with role models. Diversity is essential in science. It recruits new ideas, different perspectives, and fresh approaches to problem-solving — ingredients that fuel the creativity required for innovation. Vera Rubin unequivocally advanced the discovery of Dark Matter. She did this after she was denied a slot in the astrophysics program at Princeton because they didn’t accept women. She did this after she fought for access to telescopes and reconfigured male symbols on bathroom doors to create one for women. She did this after “luminaries in the field” repeatedly told her that her observances didn’t matter. Women add value. We have to increase the participation of women in science at multiple layers, in academic institutions, government agencies, and industry to quell societal norms. This issue requires all hands on deck to strike that “just right” resolution. Mandë Holford is the lead author of this article.